Interested in supporting a particular Post:Ballet collaboration? We need your support to help us bring our Season:Ten come to life, get our Lavender Country collaboration on the road, and develop our EPiC co-production with The Living Earth Show. Make a donation to Post: today and write a message in the memo field to let us know what project you’d like your contribution to sponsor! Post:Ballet is building our newest co-production with The Living Earth Show, EPiC, featuring an original score by Samuel Adams and choreography by Vanessa Thiessen. This evening-length program will take Post:’s vision for creating collaborative, interactive performance experiences to the next level. The full production will premiere in 2020, but stay tuned for sneak peek performances of the work in process throughout 2019. 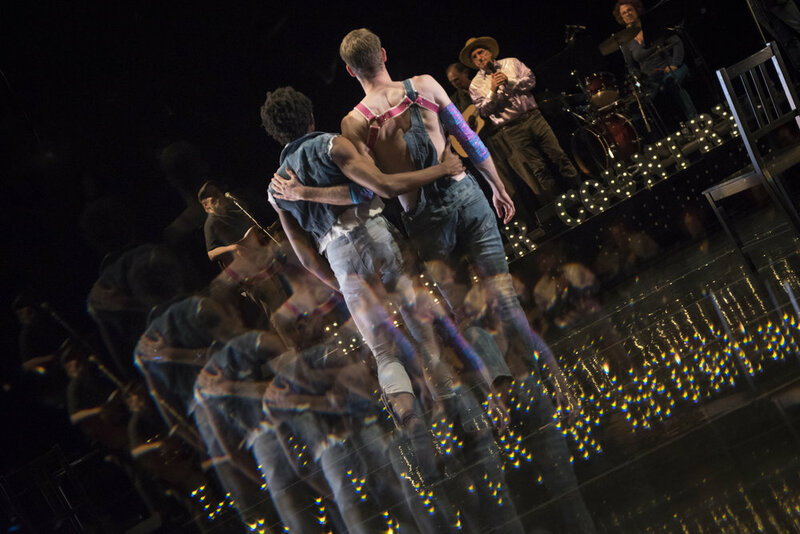 Post:Ballet is bringing our Lavender Country collaboration to cities and towns across the country, sharing Patrick Haggerty’s meaningful stories and moving music with communities near and far. Post: is honored to have this opportunity to increase the impact of this production and unite blue dots and red states into one big beautiful lavender country.